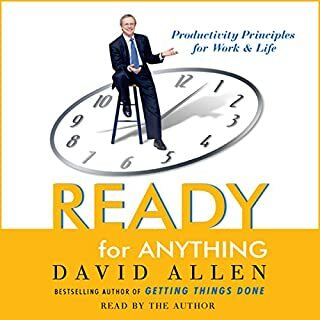 Discover David Allen's powerful productivity principles and vastly increase your ability to work better, not harder - every day. He asks listeners what's holding them back and shows how all of us can be "ready for anything" - with a clear mind, a clear deck, and clear intentions. 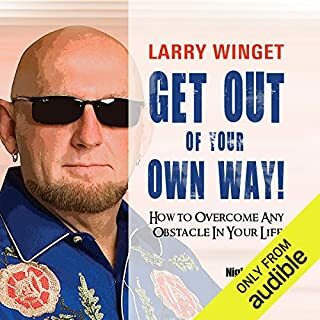 This is the perfect audiobook for anyone wanting to work and live at his or her very best. From the author of the million-copy best seller Getting Things Done, comes a new title that will change your life. For years, our concept of the self and well-being has been dominated by the notion of self-esteem, while the old fashioned value of willpower has been disparaged by psychologists who argued that we’re largely driven by unconscious forces beyond our control. In Willpower Baumeister and Tierney turn this misinformation on its head to reveal self-control as arguably the single most powerful indicator of success. 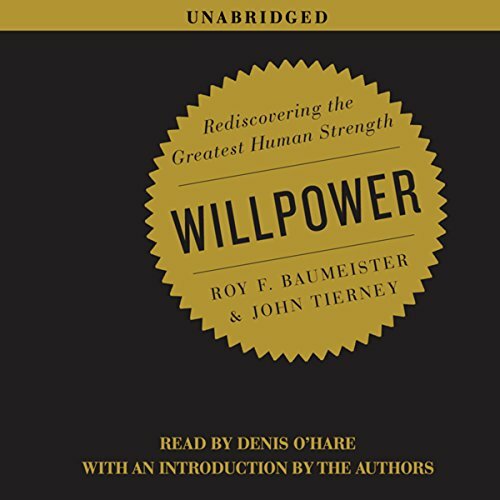 Baumeister discovered that willpower actually has a physical basis to it: it is like a muscle that can be strengthened with practice, and fatigued from overuse. That’s why eating and sleeping - and especially failing to do either of those - have such dramatic effects on self-control. I listened to this book because of a positive review I read, and I am glad I did. I am always skeptical of the "7 Habits" kind of stuff about making improvements, so I was a little concerned about where this book might be going. But the authors aren't really pretending to change your life with extravagant claims. They lay out some of the science behind how self-control works in human beings in an accessible but not fluffy way, and they make a few practical suggestions about how you might make use of that knowledge. You could change your life considerably, but it is mostly up to you. This was an entertaining, practical look at something we all have experience with but about which most of us (until now) haven't understood very much. Okay, there is no Holy Grail! I know that I find value in an audiobook when I have listened to it several times. This is one of a couple that fall in that category. I've had a recent explosion in my life. I'm happier, more positive, I'm doing better, I'm getting things done, I'm more confident, and as I alluded to in a previous review, I kid you not, I've had more smiles thrown my way than in my lifetime! Yes, I've shed a few pounds, but I think there is a little positive aura following me instead of that dark cloud. In fairness, It's not just one book. In fact, the initial spark was me needing change. I was at one of those points in life where I needed to be more productive, happier, etc. Point is, I needed to go somewhere - I just didn't know where or how, and a few books are helping me pave a path. I got sick of listening to "rah, rah" books, instead searching for books that provide scientific proof of why I act in certain manners, many times contrary to my goals. 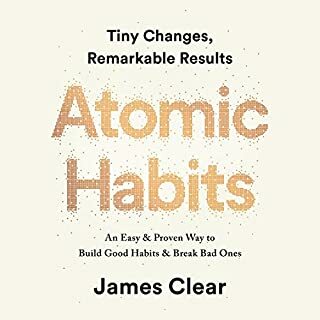 This is one of several books that are relevant in my recent successes: Positive Intelligence, Positivity, Getting Things Done and The Power of Habit are others. These books have provided me with serious fuel, instead of just a momentary spike in motivation. 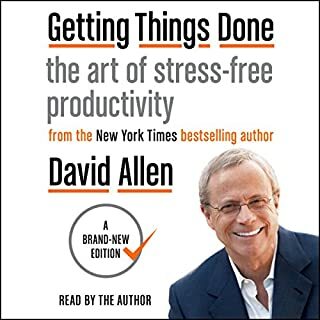 The nice thing about enjoying a book is that the author often turns you on to one or two books - Willpower made reference to Getting Things Done - that book as been good for me as well. It works for me, and that's important. Willpower led me to change a few bad habits. It has taught me, as has The Power of Habit, that I can replace bad habits - and do so with baby steps - something that had a negative connotation in my life before for whatever reason. 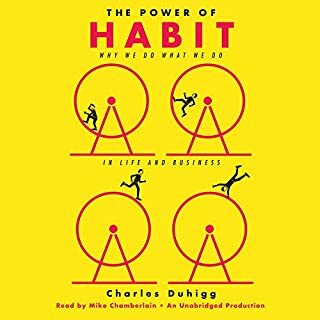 By performing what seem like insignificant good little habits, we start tweaking our brains and then, intelligently, ask ourselves after spotting a not-so-good habit, "Gee, why do I do this?" I've just never made this kind of progress and I feel great about it. I dislike reviewing books after just reading it because it will be more positive than the results. I'm cautious, but I've turned a corner boys and girls, and these books are helping. I plan on making some serious dents to my saboteurs. Trust me, I've had an army of them, and they've been disguised very well. As a side note, I have found that listening to the audiobooks repeatedly helps not only my comprehension, but it's kind of like a mental workout - I'll show up where I need to with a stronger, active, positive, curious brain instead of the ol' reptile brain. It looks like just another book in the behavioral economics genre, but the authors really do rise above the pack. If you're turned off of the shallowness of Gladwell and Ariely, don't be too quick to dismiss this one. It's very good. What made the experience of listening to Willpower the most enjoyable? It was an inspiration to me as I took my walks in the morning. It compelled me to walk longer. As I listened I felt an increased desire to learn how to train my mind and continued walking. Which character – as performed by Denis O'Hare – was your favorite? It was easy to listen to Denis read. It felt like he was sitting next to me telling me what he knows. He talks about planning ahead in developing willpower. The chapter where he addresses procrastination was also very useful. A salad of ideas, about the good use of willpower. I give my Sansa Fuze 5 stars for performance here as I used it on fast speed which is about 20 percent faster. It added some pep to the reading as the material is not complex or convoluted, and with some familiarity with psychology ideas was easy going. At normal speed it went a tad slow for my liking. Although the book seems a little "disorganized", the content is nonetheless extremely interesting. 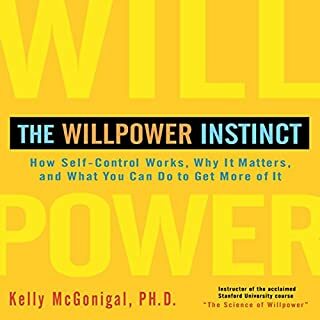 I can't say I knew much about willpower prior to reading this book, so I felt that I have truly benefited from the information that I managed to absorb. Social psychologist Roy Baumeister and New York Times science writer John Tierney take on the fascinating topic of willpower. The claim of the the authors is that willpower is physical, like muscles, and can be strengthened with use and practice. The thesis of Willpower is strongly supported by many studies and real world situations. It took all my willpower to stay with this book to the end. I did so in the hope that it would culminate in some sort of wisdom or impart some tips that would help. I did have to skip forward about 1/2 way through the wholly unnecessary Stanley chapter replete with murders and cannibalism. The book blurb indicated this would be a useful book but it was really just a recounting of dozens upon dozens of behavioral experiments. O'Hare's narration of ultra-boring text made me think I was listening to Ben Stein (who can actually be funny). Baumeister was always referred to in the third person, so it seemed like Tierney must have done the bulk of the writing. Hopefully they will not all collaborate on a sequel. In the end, I suppose there were a few semi-precious gems that made me think about my willpower issues and what to do about them but these could have been summed up in an hour or so - no need for eight hours of Baumeister patting himself on the back for being smarter than the average behavioral scientist, which is what he seems to be telling himself. I almost didn't buy this because I thought for sure it would be another one of those terrible, repetitive, condescending, worthless self help books. Well, my friends, IT'S NOT! This book is science, science, science! It's data and field tests and REAL WORLD TECHNIQUES! I couldn't believe my ears as I was listening to this. Why hasn't anyone written a science-based book on willpower before?!! I mean, there are THOUSANDS of silly self help books on the topic, but virtually no books at all on the science. And, I'm telling you, there are a TON of studies that have been done on willpower; what makes it stronger, what makes it weaker, how to become its master. I found this book enormously helpful. Understanding the single pool of willpower, how it can be depleted and the widespread impact of that depletion on daily life helped elevate guilt and self-recrimination. Having tools and strategies driven from research was inordinately helpful for those of us, previously very successful with willpower, who have found ourselves struggling in light of increased distraction. I am already applying new tools and have identified a couple friends who would benefit from the information here.